When it comes to disaster relief and insurance coverage, it’s important to understand the difference between water damage and flood damage. At first glance, the two may appear similar; after all, water is water, right? You want it out of your home and away from your belongings. But the two are not only distinct from each other, but are covered differently by insurance companies. In fact, homeowner’s insurance doesn’t cover flood damage, and depending on where you live in the country, this can prove to be a major complication after flooding has occurred. Let’s briefly go over a few quick points that distinguish the two. To start, flood insurance is sold separately from homeowner’s insurance, and whether or not you are required to purchase it depends on many factors, including your lender’s terms and the part of the country you live in. As far as insurance is concerned, a flood is defined as water that’s been on the ground before causing damage to a property. Situations such as heavy rain or a flash flood causing rising water levels in your home would be classified as flood damage. In contrast, standard homeowner’s insurance covers water damage. A good way to remember the difference is that water damage is generally classified as problems that occur from water coming from above, while flood damage is from below. If heavy rain occurs and doesn’t cause flooding on the ground but instead causes leaks to develop in your roof, the coverage would be under homeowner’s insurance. If you obtained your mortgage through a lender, most likely you will be required at the very least to buy homeowner’s insurance as part of your agreement, if not flood insurance as well. This may seem like plenty of coverage at first. But don’t relax! While insurance does cover a lot of things that could potentially happen to your home, the homeowner is still ultimately responsible for maintenance of their property – that is, if damage happens as a result of negligence, it may actually end up not being covered at all. Let’s say that winter rolls around, and this year it’s worse than normal, with extended periods of heavy rain that end up causing water damage when the roof leaks. However, after filing a claim with your insurance company the adjustor discovers that the roof was in fact in bad shape to begin with and the water damage was a result of poor maintenance. Usually in this type of scenario, the claim will be denied because due diligence for proper maintenance remains on the shoulders of the homeowner. To summarize, it’s not only important to understand exactly what type of water damage is covered by what type of insurance, but to regularly perform the work required to hold up the other end of the agreement with the insurer. That way, when the unexpected happens, you can rest assured that you will be able to get things back together and on track without the complication and hassle of wrangling with potential fine print in your contract. Even if it’s not the wetter season of the year, water damage can happen quickly and unpredictably so being prepared for the future can save a lot of time and money down the road. 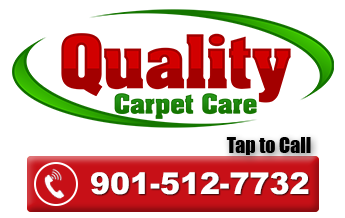 This article was brought to you by Quality Carpet Cleaning Memphis, a Memphis carpet cleaning company in Memphis, TN. As a family-owned business, Quality Carpet Cleaning has been providing top-notch quality of work across the midsouth area for over ten years.